Attention all you Wiggles fans out there. 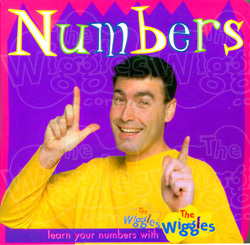 Seems a wiggily illness is keeping Greg Page (the yellow Wiggle) from his wiggily family. Say, how many times can I say wiggily in one post? In any event, seems he is suffering from some unknown illness (rumor mill has said he is suffering from everything inbetween a bad flu and cancer) and has been (GASP) replaced!! My son would be horrified to learn this. We just saw them in concert not more than 2 months ago, and Greg was happily jumping around. He was like the best singer in the bunch, how will we get thru “Fruit Salad” and “Hot Potato” without Greg??? Get well soon my wiggily friend.